By Preethi Ranjit in Coding. Updated on January 25, 2016 . MathML is a markup language that can be used to display mathematical notations. You can use MathML tags directly from HTML5. It is useful for when you wish to show more than simple notations of Math in your web pages, and it’s quite easy to use due to its simplicity and resemblance to HTML. Let’s take a look at MathML. There’s a list of present MathML elements in the Mozilla Developer website. I’ve also listed the elements used in the examples at the end of this post for quick reference. The top level element in MathML is the <math> element, When you write MathML code in the HTML, remember to put them inside the <math> tags. 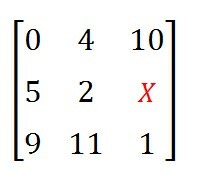 <mi>,<mo>,<mn>,<ms> are the basic elements representing an identifier ,operator, number and string respectively. Note that all the MathML elements below start with the letter ‘m’. The <msup> element is for displaying superscript. There’s an <msub> for subscripts. Here’s one more simple example for displaying root integers. For only square root, there’s <msqrt>. Now let’s move on to more complex notations, the matrix. To construct a matrix, we will need to have a table structure for rows and columns. For this, we use <mtable>, <mtr> and <mtd>. Apart from that, we’ll use the <mo> tags to add the operators [ and ] around the matrix, and finally put them all inside the <mrow> element, an element that groups expressions. Also, let’s throw in a bit of CSS to make that ‘X’ stand out in the matrix. Below is an example of a basic type of integral equation. The <mmultiscripts> is used to add the limits to the integral. For a list of MathML character entities, click here to find them on the W3C website. I take my leave with this codepen containing all of the examples above, for your easy reference. See the Pen MathML Examples by Preethi (@rpsthecoder) on CodePen.